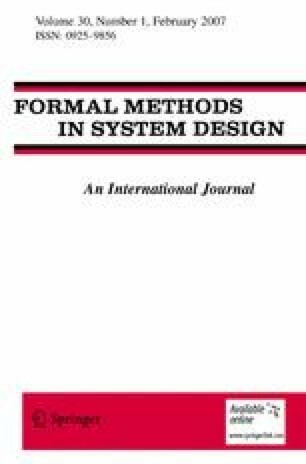 A method for automated analysis of fault-tolerance of distributed systems is presented. It is based on a stream (or data-flow) model of distributed computation. Temporal (ordering) relationships between messages received by a component on different channels are not captured by this model. This makes the analysis more efficient and forces the use of conservative approximations in analysis of systems whose behavior depends on such inter-channel orderings. To further support efficient analysis, our framework includes abstractions for the contents, number, and ordering of messages sent on each channel. Analysis of a reliable broadcast protocol illustrates the method. Supported in part by NSF under Grant CCR-9876058 and ONR under Grants N00014-99-1-0358, N00014-01-1-0109, and N00014-02-1-0363. Supported in part by ARPA/RADC grant F30602-96-1-0317, AFOSR grant F49620-00-1-0198, Defense Advanced Research Projects Agency (DARPA) and Air Force Research Laboratory Air Force Material Command USAF under agreement number F30602-99-1-0533, National Science Foundation Grant 9703470, and a grant from Intel Corporation. The views and conclusions contained herein are those of the authors and should not be interpreted as necessarily representing the official policies or endorsements, either expressed or implied, of these organizations or the U.S. Government. X. Leroy, “The Caml Light System,” INRIA, 1997. Available via http:///caml.inria.fr/.